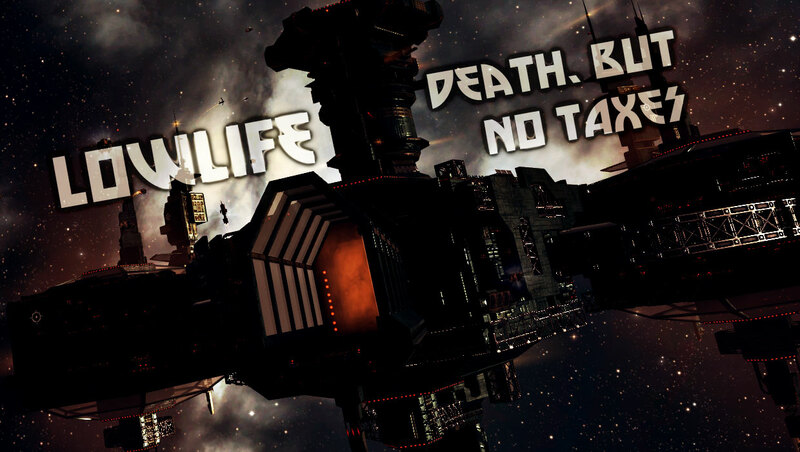 2014 has been a relatively one-sided affair in the Gallente – Caldari war zone, as Lowlife has reported on earlier. The so-called pendulum has been firmly stuck in favor of the Gallente since the beginning of the year. It went so far that some Caldari loyalists openly admit to employing a starvation tactic. The theory is that if they did not offer the Gallente any fights, the militia would lose its main motivator for cohesion and fall apart. To a certain extent, it has worked, and some would argue that this, along with guerilla tactics, were the only viable options available to the Caldari. The north-east wing of the war zone, traditionally unpopular amongst the Gallente because of its locale, was quietly re-captured by State forces without much fanfair. Reinstating the old ‘border’ at the gateway system of Okkamon. Meanwhile, other Caldari stubbornly hold on to a handful of retaken systems on the the north and north-west edges, far away from ‘Frog’ home systems, along with the ever fought-over Heydieles. Otherwise the war zone has remained more or less static for months. Meanwhile, the Minmatar militia has fallen apart following a renewed focus from Crusader forces. The formation of an Amarr militia coalition focused on a clear vision and the streamlining and unification of the militia has turned the tables. However, rather than the dramatic and bloody Huola campaign that grabbed headlines this summer, the Minmatar have instead been bled to death through relentless pressure, resulting in the departure of key alliances such as Iron Oxide and Late Night Alliance from the TLF. While “Burn Huola” ultimately failed, it was a spectacular affair enjoyed by most parties involved. This time around however, the erosive effect of determined plexing as a form of siege warfare hollowed out the fortress system, and in the end, it was defeated in much the same way as Innia, all those months ago – a shadow of its former self. The strategy also proved efficient precisely because of its grinding and un-spectacular nature. No fleets of Gallente were seen rushing over to aid their Minmatar allies, because there was no dramatic event to draw them out. Instead of attacking a highly motivated enemy with powerful allies, the Amarr first destroyed the morale of the Minmatar, making the taking of Huola inevitable. Several accounts from both sides are not particularly passionate about the conflict of late however, it was done this way because it worked, simple as that. DJ FunkyBacon – If we could corporate tax LP that would be great. Sugar Kyle – Yes. This has been asked for quite often. If people do not have the ISK to give their corporation that they could give LP instead. The rise and success of a militia is based on structure and those CCP Seagull refers to as “enablers”. That structure comes from corporations and subsequently, alliances and their leaders. However, in order to run doctrine fleets, ship replacement-, logistical- and training programmes, as well as fund corporate- and alliance level investments, you need taxes. The way FW works however, means that most players income consists of loyalty points, rather than direct ISK through traditional missions or ratting. This works relatively well on a personal level, but not at all on a group level. It means that taxes are denied as a key income stream for most corporations involved in Factional Warfare, making central organisation efforts very difficult to fund. Instead, corporations and alliances are forced to adopt their own systems of collecting a form of tax, unsupported by the game, if they hope to accomplish something more than haphazard roams and gate camps as an entity on any kind of regular basis. This is difficult, time-consuming, and seldom works. It often leads to infighting and loss of motivation, as well as putting a lot of personal pressure on a small number of individuals. The answer, as alluded to by Funky and Sugar above, is a corporation LP tax. This would allow corporations to use LP the same way individuals do (converting LP to ISK by selling loyalty point store items on the market, while also using some of the items directly), in order to fund corporation-, alliance- and militia-level activities and programmes. Wars are fueled by taxes after all. Without taxes there is little financial support for ‘enablers’ to do their thing and they often have to go looking in their own pockets to fund any projects they might be motivated to do. An LP tax may be just what a militia that’s down on their luck needs, motivating leaders and instigators to get things moving again. Most importantly, it allows them to create content for their fellow militia and its enemies, something that should be supported in every way possible. Acknowledgement: Thank you to Uraziel Tsao for the reminder.